EcoTele delivers a comprehensive range of bespoke network cabling solutions designed to meet our client’s technology requirements. These solutions range from the design and installation of a structured cabling system through advanced network design. All of our Cat5e/Cat6 network cabling solutions are underpinned by a 25 year warranty & our commitment to provide outstanding levels of quality and customer service, allowing our clients to leverage the maximum business benefit from their Telecommunications & IT systems. 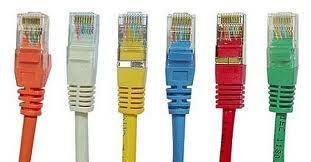 Free no obligation Cat5e site survey. Fully certified manufacturer trained engineers. Project managed from implementation to handover. Out of hours or weekend installations to suit client operational requirements. “Bandwidth” testing & high level monitoring of network speeds. Quality switches, patch panels & leads utilised as standard on every installation.